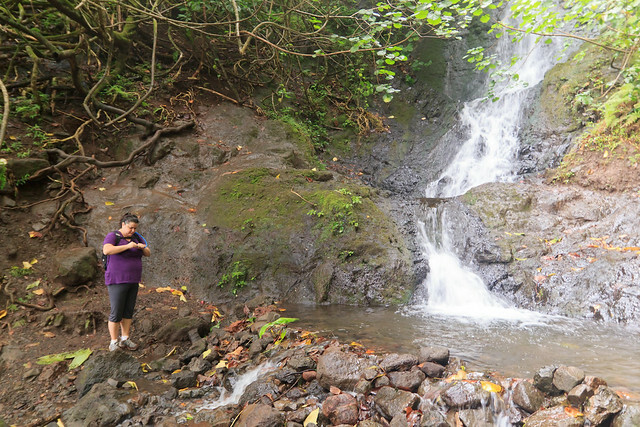 Sommer saw the pictures of Likeke Falls from last week and Sommer wanted to go for herself. 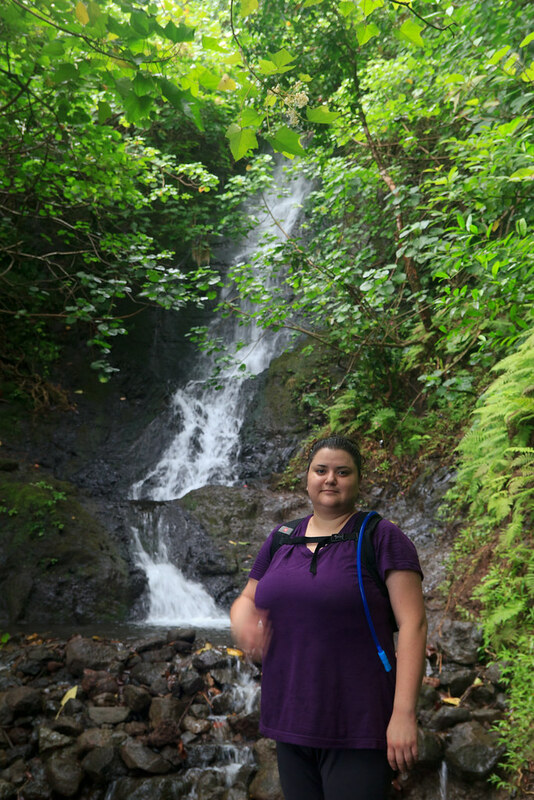 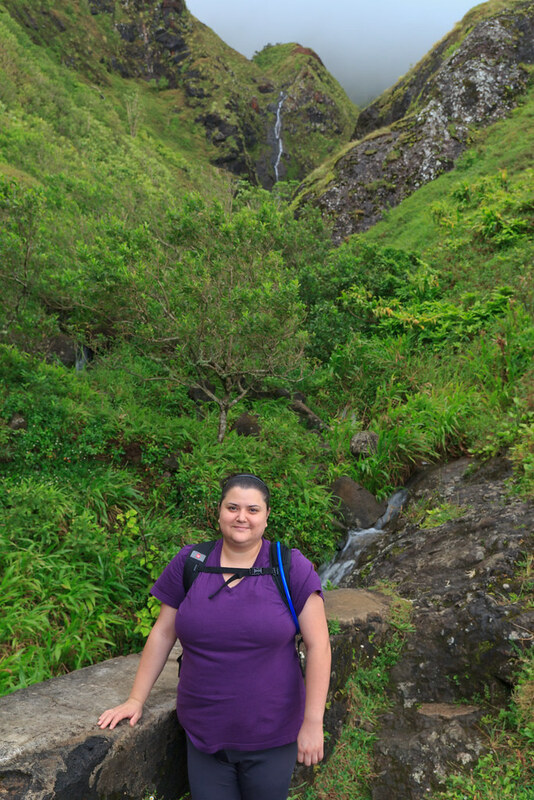 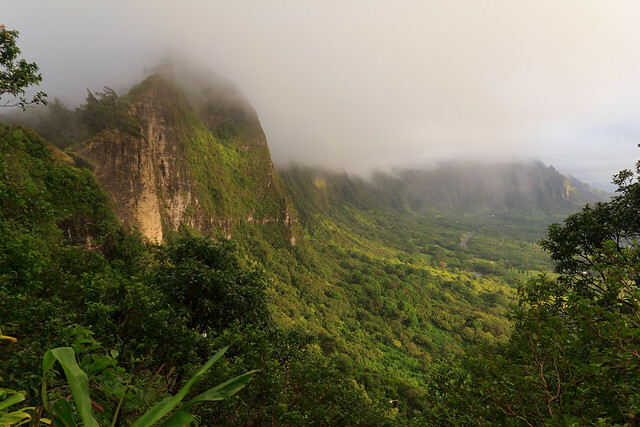 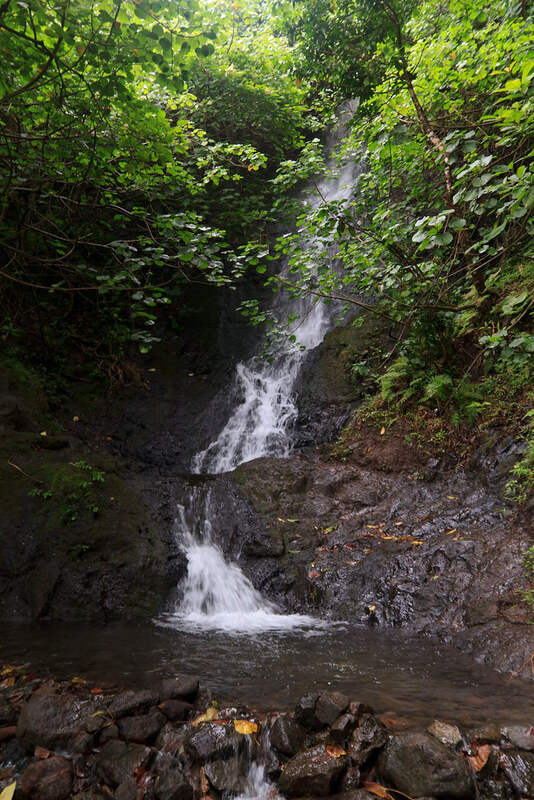 We had a BBQ with some friends on the beach so Sommer and I woke up early in the morning and headed up Nu`uanu to the Pali Lookout for a trip to Likeke Falls. 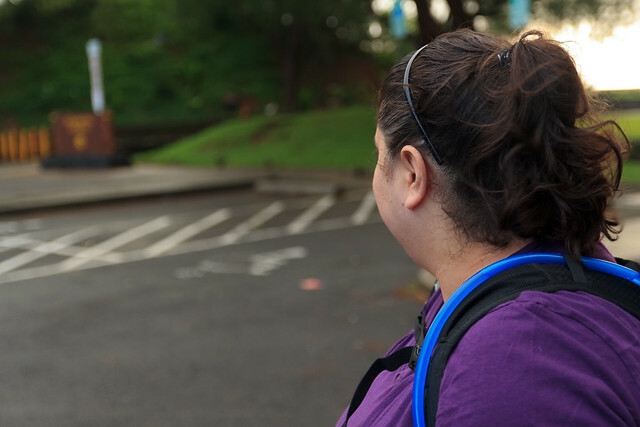 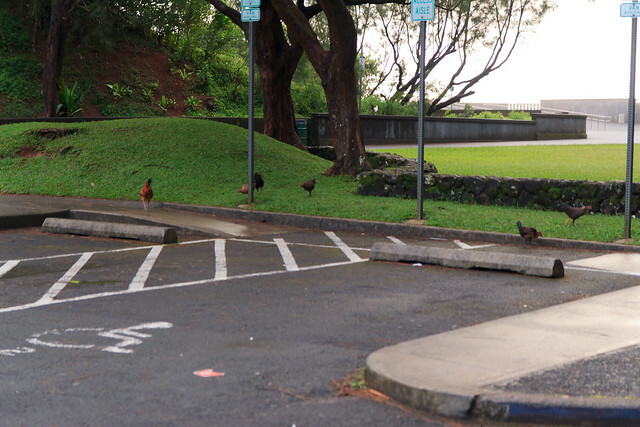 Sommer was fascinated with the chickens that have taken residence and at the Pali Lookout. 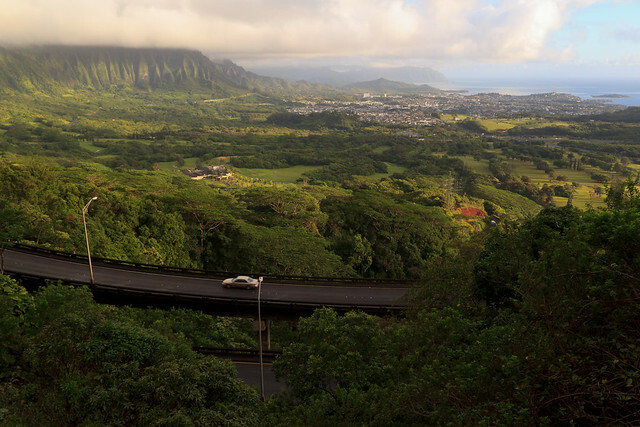 The morning sun was just creeping around the Ko`olau and lighting up Kaneohe as we headed down the old Pali road. 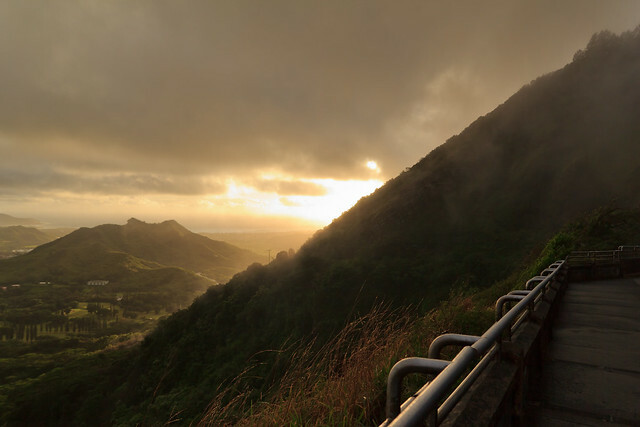 It was very humid and the clouds hugged the Ko`olau. 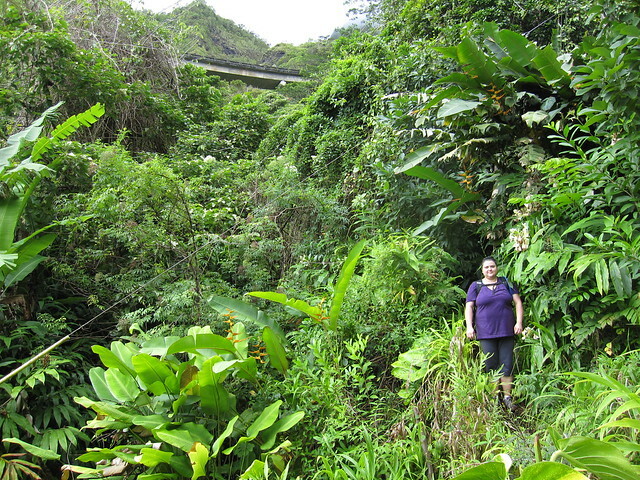 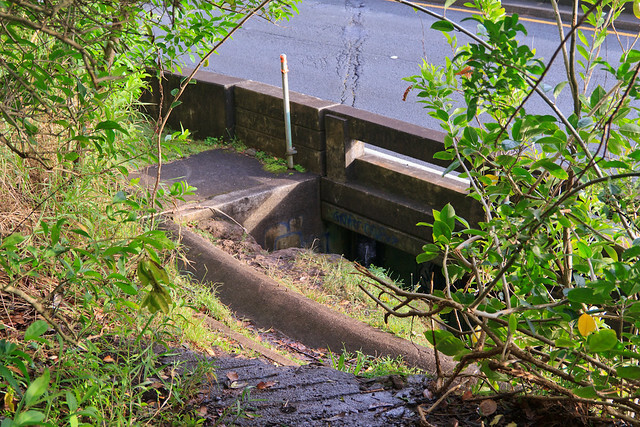 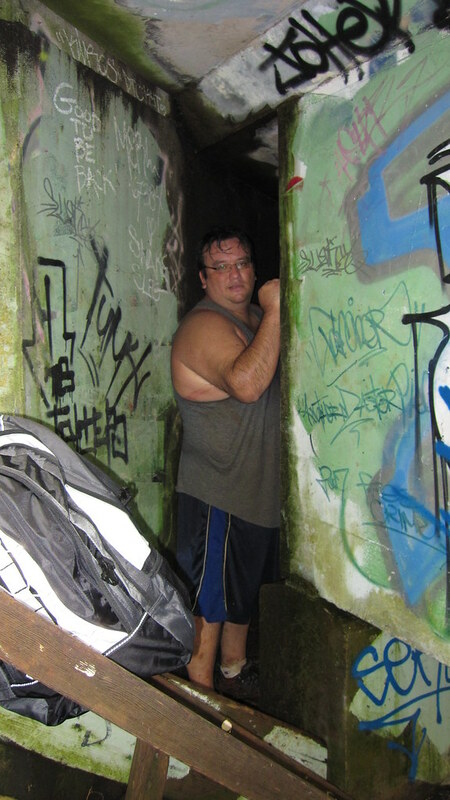 We climbed down a short set of rickety stairs and crossed under the Pali Highway. 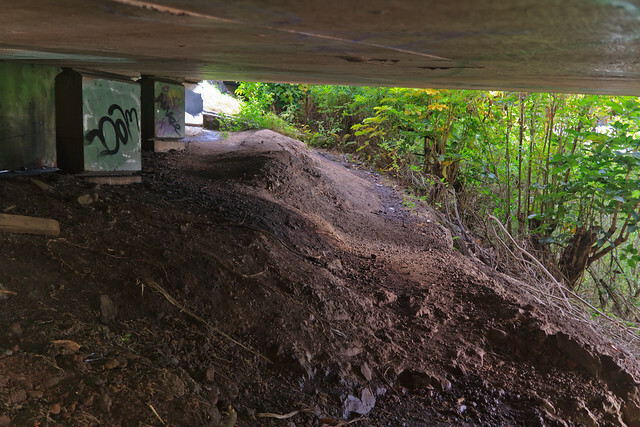 I took the narrow path under the road and Sommer crawled under the overpass (I think the narrow path freaked her out). 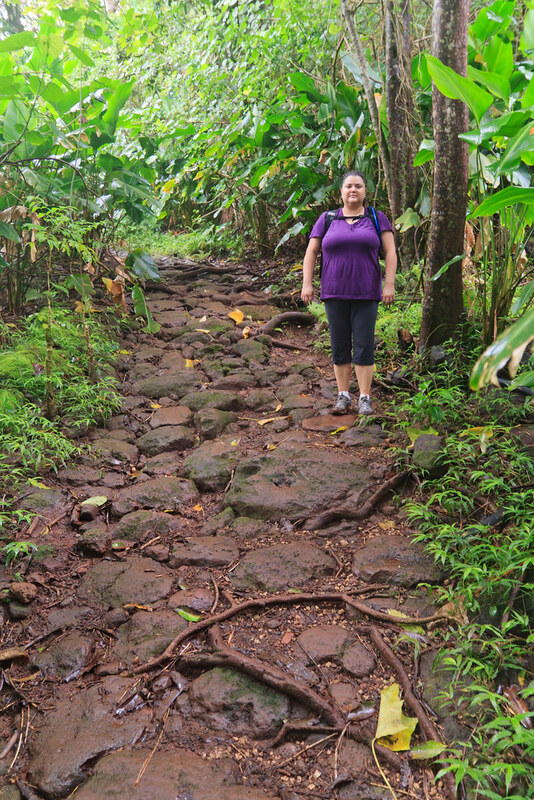 The trail leaves the old Pali Road and heads back towards the Ko`olau. 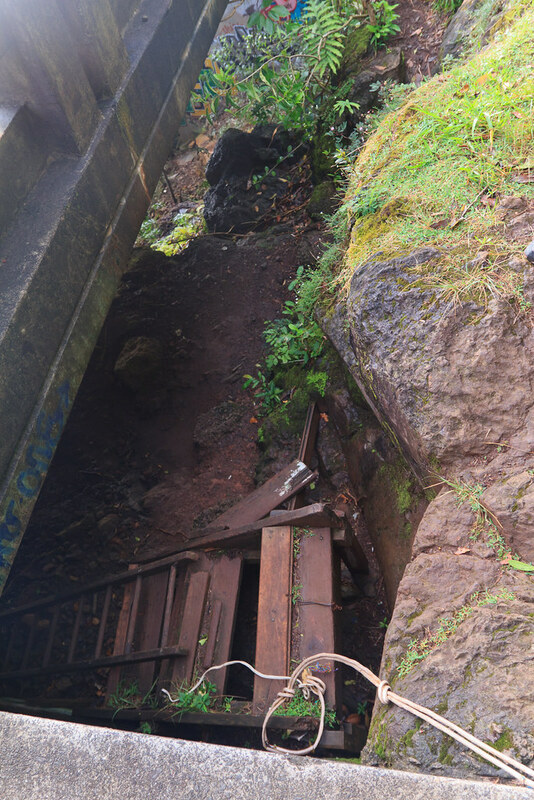 Sommer liked the old horse carriage road. 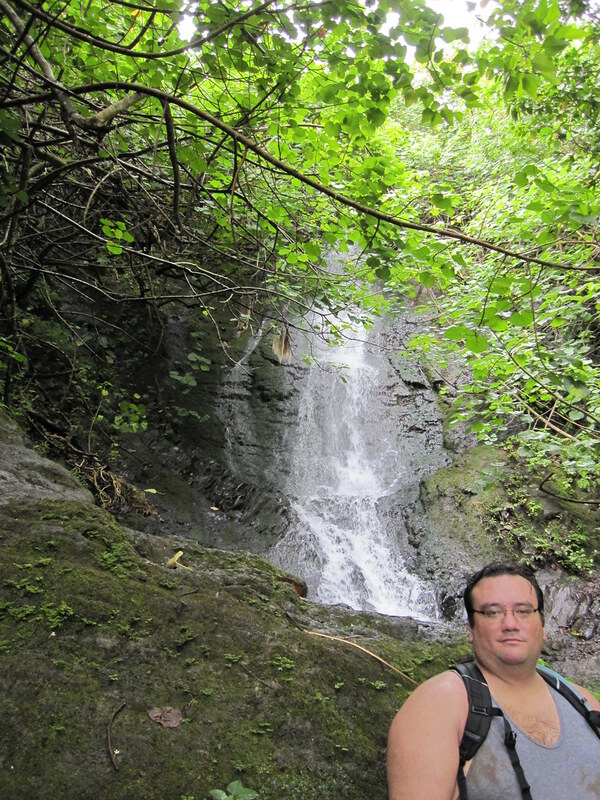 Within a few minutes we were at the falls. 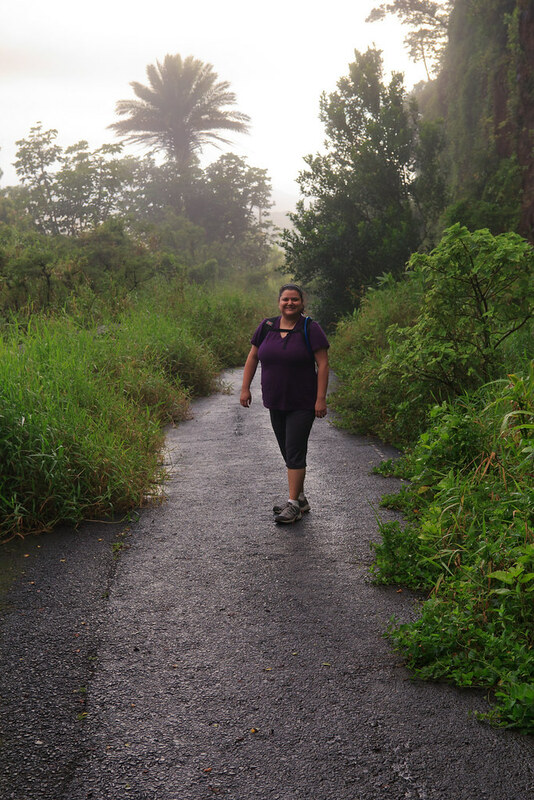 It was a great way to start the day and mark one year of hiking. 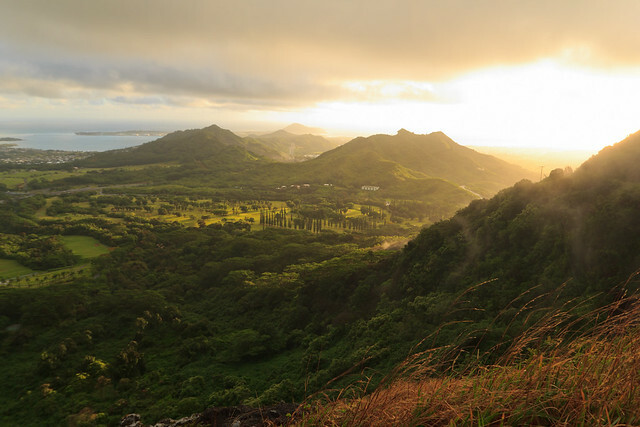 Great shots with the morning light!